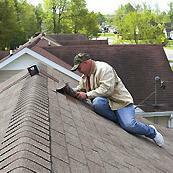 Roofing can be one of the biggest investments that you make when it comes to maintaining or upgrading your home. This is why it is crucial to do your research when it comes to selecting a residential roofer to complete services to your home. There are a few important things to look for as you shop for a roofer, including the following characteristics. If you find a roofing team that meets the following requirements, you can rest assured that your home is in good hands. It's always a good idea to find out how long a company has been in business before signing any contracts for work. A roofer that has been operating for at least a decade has demonstrated that they've built a solid reputation with their community as a trusted and fair priced resource for roofing services. Not only is supporting local business always a smart idea, but you're going to likely have a much more organic and warm customer service experience compared to chain services. By using a local roofing company you'll be helping to maintain the local economy while building a great relationship with a small business owner. One way to be sure that you will receive excellent customer service, quality service and a great roof is to check the BBB rating for local roofers in your area. An A+ rating indicates that the roofing company is passionate about their work and strives to provide a great experience for every customer, while working to resolve any issues that do arise. You should be offered a selection of high quality roofing materials for the type of roof you're interested in, including tiles, metal or shingles. Malarkey Roofing Products should be a name that you are provided by the roofing company while considering your choices. If you're not offered a warranty, you may want to look elsewhere. A warranty is a great way to ensure that the money you spent is backed up in writing. Even the best roofers should offer a warranty, as things do go wrong from time to time, and a warranty is a way for them to let you know they will fix any issues that occur within a certain time frame. If you are seeking a residential roofer in McKinney or Wichita, Texas that holds these requirements you'll want to get in touch with the team at Trifecta Roofing & Construction. We love being a part of the community and as a residential roofer we take many steps to ensure that your home is properly taken care of. To request a quote for superior roofing in McKinney or Wichita Falls be sure to give our team a call at (469) 620-7672 and we'd be happy to help.